Sherbro Foundation Board members get annoyed with organizations we only hear from when they want money from us. We don’t want to be one of those organizations. Rather, we want to let you know how we spent the money you already sent. Below is a newsletter covering key projects over the last fifteen months. You can judge if it was well spent, and whether you want to support us again. Or start supporting us. Are you now thinking now, oh, they haven’t spent my money because I haven’t sent any. You can easily remedy that at http://www.sherbrofoundation.org/donate . Thank you. 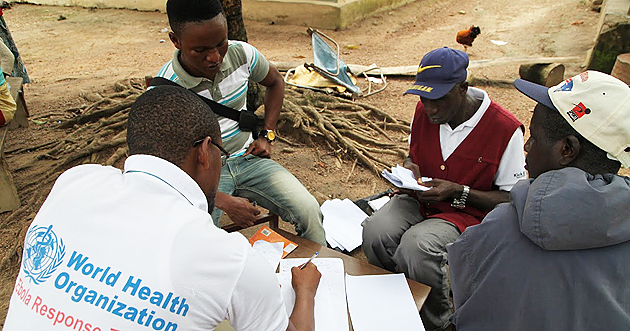 Together, we are making a real difference in the lives of people in rural Sierra Leone. 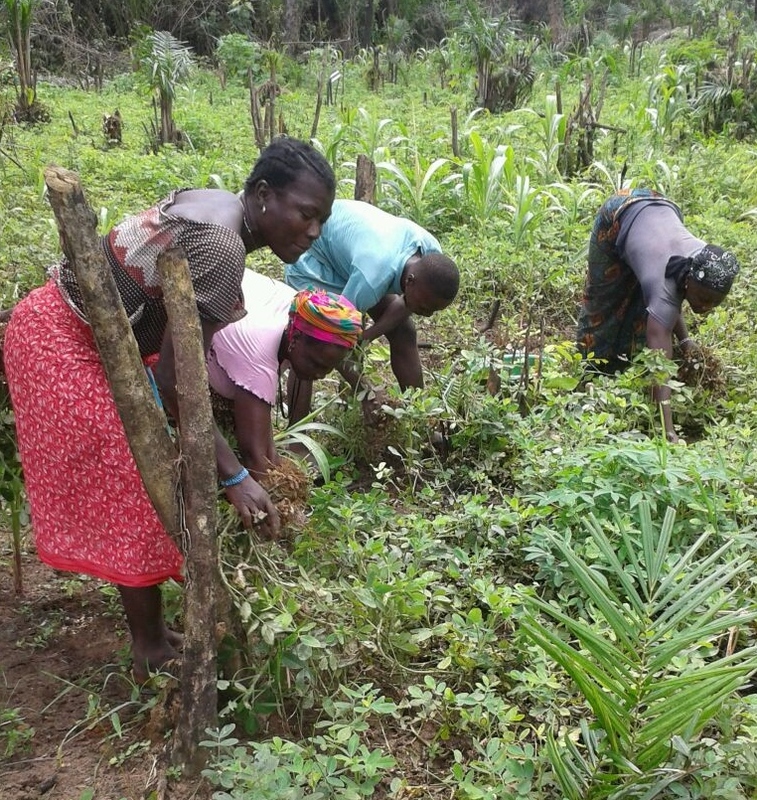 Just shy of five months from our first March phone call on the Bumpeh Chiefdom Women’s Vegetable Growing Project, women are harvesting their first crops. I got the pictures of the peanut harvest Sunday. It’s a good crop, Mrs. Kaimbay told me. She leads our partner organization, the Center for Community Empowerment & Transformation (CCET), who organized and started this first time project. She and local teachers Mr. Sonnah and Mr. Phoday got the vegetable project started in April – at the same time they were restarting school that had been closed for nine months because of Ebola. 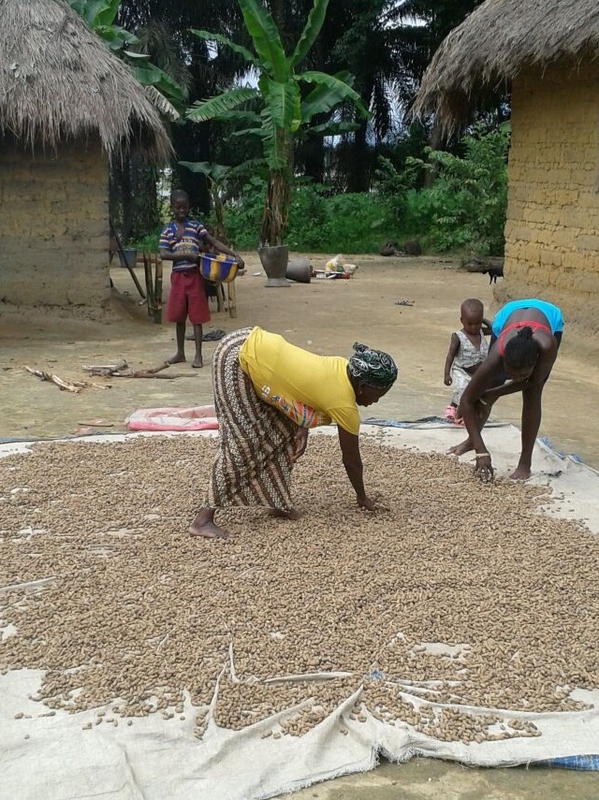 Now in late July, these women in the project’s first group of farmers were harvesting their groundnuts. The corn in the background will be ready soon, together with okra and cucumbers. 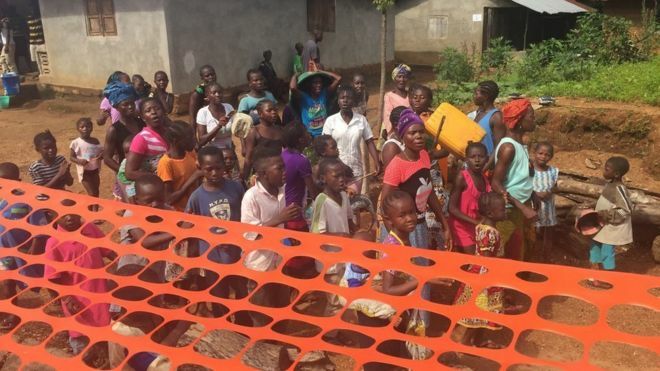 It was only in early March that I first asked, what can Sherbro Foundation do to help people whose incomes were slashed during the Ebola crisis. Help women farmers start fast growing cash crops was the answer. Peanuts and vegetables. What we call peanuts are groundnuts in Africa. That’s because they grow in the ground. They’re actually legumes, not nuts. They’re an important source of protein in the African diet, commonly ground into a paste for soups and stews. Or eaten straight up, after roasting in a pan. Groundnuts are also enjoyed boiled in the shell. 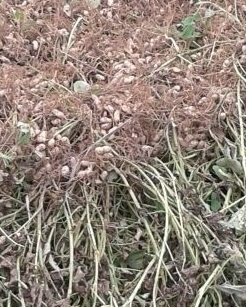 Here’s what groundnuts look like when they’re harvested. They grow as nodules among the roots of the plant. You dig them up like harvesting potatoes. Then spread them out in the sun to dry. The Women’s Vegetable Growing project will continue to expand and add new groups of farmers. The thirty five women in this first group will donate seed back to the project for the next group of farmers – a bag of groundnuts and a cup of seed from each of their three vegetable crops. The women will still net at least three to four times our initial investment of $75 in each farmer. They’ll be ready to start their second crops in September themselves, followed by a third crop in their first year. In the meantime, new groups of women farmers will be given their start. In the project’s first twelve months, we should be able to have groups of 30+ farmers producing crops six times. The women selected for the project are single heads of large households. They get the use of community land set aside in the chiefdom for special projects. 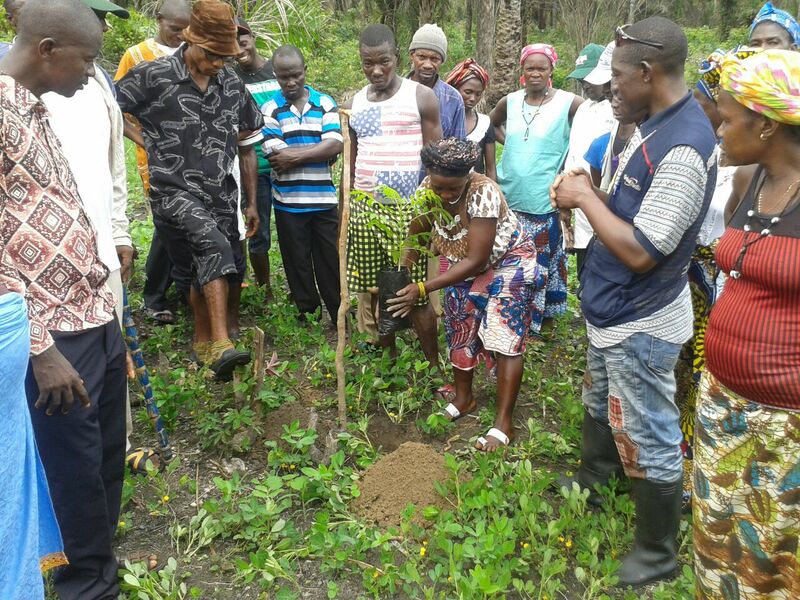 They get training on topics like planting and erosion control, and ongoing support. Importantly, they now know what empowerment feels like. They’re farming themselves and becoming self sufficient. 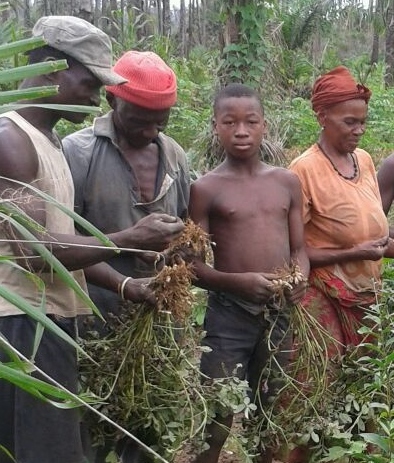 Sherbro Foundation and our partner CCET take on practical projects that are simple to implement and which quickly benefit the poorest people in the chiefdom. We don’t wait years to see lives improved while bureaucracy and overhead are created. We do it within months.